Rhamnose: A naturally-derived plant sugar, boosts overall skin structure and correct the effects of skin aging. Vitamin C: an antioxidant with powerful anti-wrinkle properties. Adenosine: an important molecule in all body functions; it has a dermo-relaxing effect, thus fighting wrinkles in both the short and long term. Hepes: a molecule with exfoliating properties helps smooth the skin and improves the regularity of the skin pigmentation. Vichy Mineral Water: rich in 15 minerals; helps strengthen the skin's moisture barrier function to help protect skin against aggressors. * After 2 months of daily application of LiftActiv Night Supreme Anti-Wrinkle and Firming Care Night Cream. Thick, creamy texture melts immediately into skin, leaving a soft, smooth finish. Founded in France in 1931, Vichy's formulas combine clinically-proven ingredients with mineral-rich volcanic water to deliver real results to women of all ages. Today, Vichy is the #1 Anti-Aging Brand in European pharmacies. 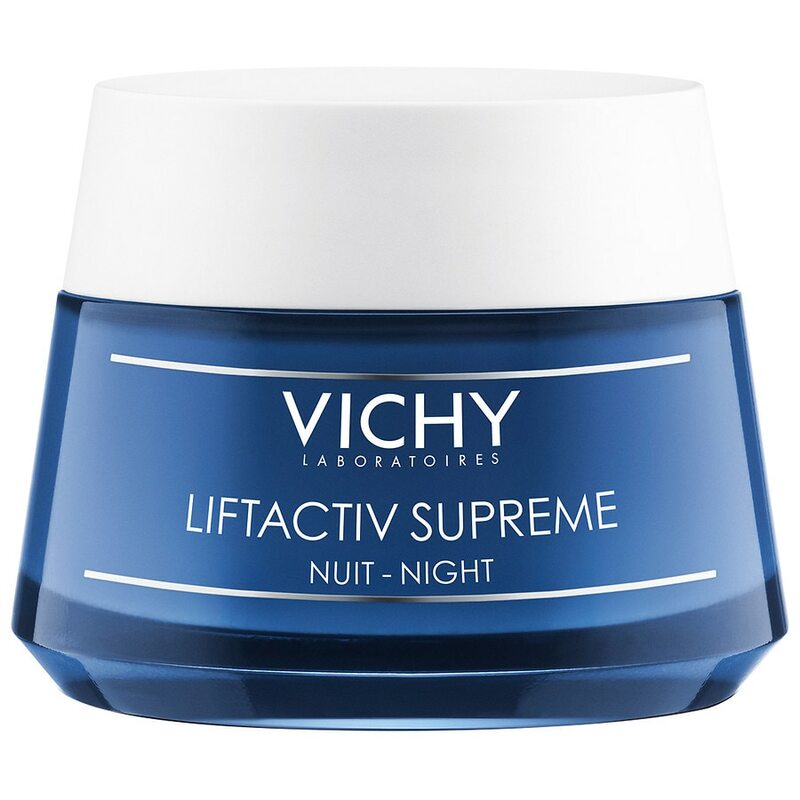 Apply LiftActiv Night Cream on cleansed skin in the evening to the face and neck.